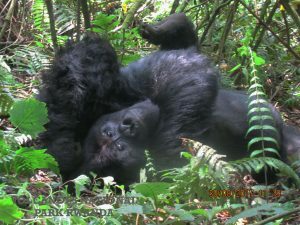 The 9 Days Gorilla Trekking Safari Rwanda. 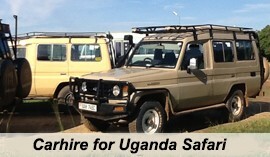 Wildlife Tour Rwanda. 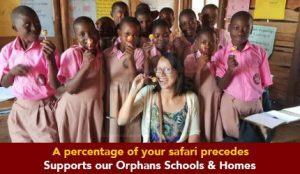 Chimpanzee Trek Safari in Rwanda Tour. The 9 Days Gorilla trek safari in Rwanda, African Wildlife Safari in Rwanda & Chimpanzee tracking tour is a Rwanda safari tour to see a range of primates including the Mountain Gorillas, the Common Chimpanzees, the Black and White Colobus Monkeys and the golden monkeys. 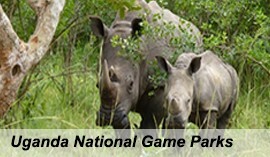 Extensive wild game viewing in Akagera Game Park where possible sights of lions, leopards, elephants, the Buffaloes, Topis along with aquatics like Nile crocodiles and Hippos. The Safari also feature the sites of Butare and Nyanza for extensive culture and heritage experience while the Dian Fossey site and Gisozi genocide site present a magical historical encounter. Gather at Kinigi ranger post to catch up with briefing commencing at 8am. The early arrival allows you to catch up with a warm cup of coffee as you watch the traditional Kinyarwanda performance going on. Attend to the briefing by the Park rangers in your respective gorilla families allocated to you after which you embark on the hike in the jungle in search of the endangered Mountain Gorilla. The walk in the Volcanic dense jungle is accompanied by beautiful sights of lovely flora, unique sceneries including the eight Virunga mountain chain and the lakes below, the forest fauna including duikers, birds before approaching the critically endangered mountain gorillas that have thrived in the area for millions of years past. Explore the gentle giants foraging on their precious shrubs and other edibles, socialize, the silver back demonstrating its might, the young ones play among other interesting aspects. 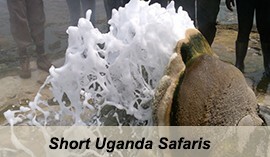 The entire trek takes 2 – 8 hours with direct viewing limited to one hour for purposes of conservation. The opportunity is availed to you to take as many photos as possible commemorating your lifetime gorilla safari experience. 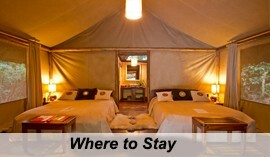 You retreat from the experience and spend an evening relaxing at the lodge refreshing the gorilla safari memories.